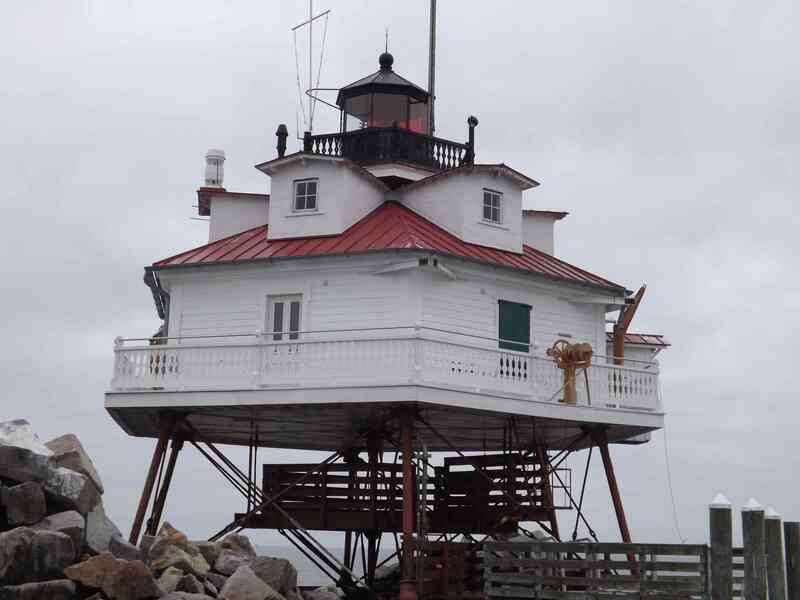 Workday: Thomas Point Lighthouse – June 2 & 3, 2016 – Chesapeake Chapter U.S.L.H.S. Cathy and Howard Lewis replacing deck board near hatch. Memorial Day has come and gone and in a few short weeks summer will officially begin. That means lighthouse season is finally here. 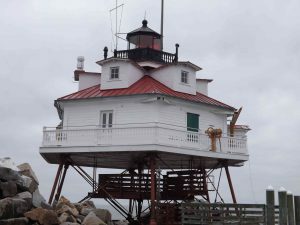 (I know every season is lighthouse season – but this is when people start getting out and about to visit them in a bigger way!) This past weekend the first tours of Thomas Point began. So just before the first tours a few of our volunteers went out to make sure everything was in order. They made a couple of weekday trips out to the light to get her all spruced up for the first visitors. A small group went out on Thursday and Friday June 2nd and 3rd. 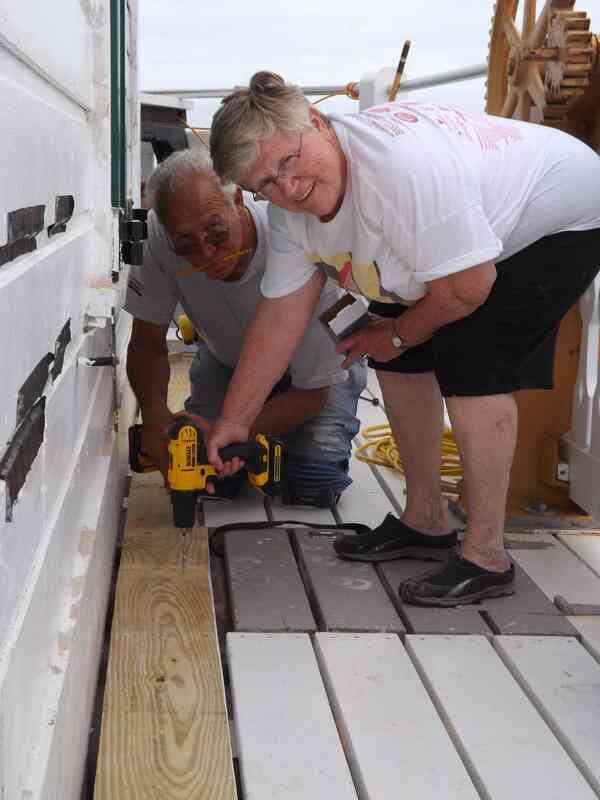 On Thursday the volunteers took care of some of the loose and rotting deck boards. They seem to deteriorate more quickly out there exposed as they are to all the elements. One of the boards near the hatch was removed and replaced. 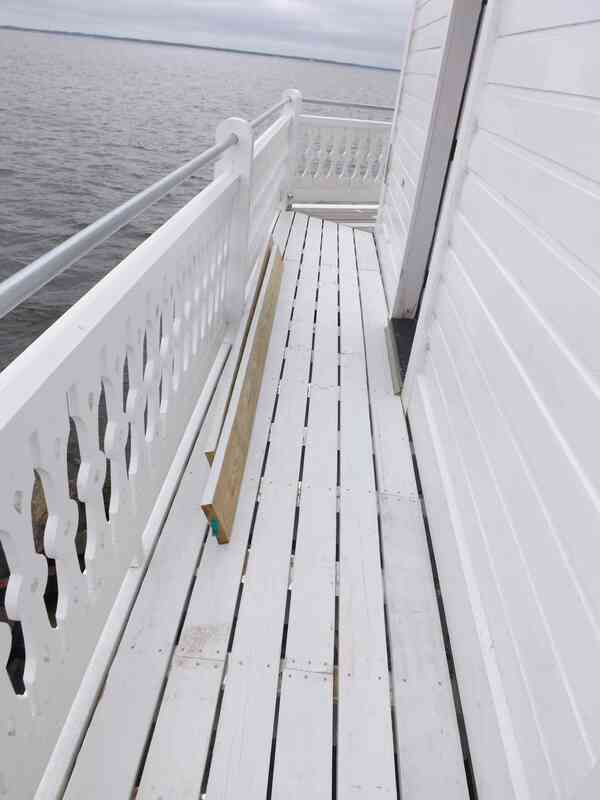 Some of the boards that had become a little loose over time were secured on both the lower and middle decks that are used when boarding the light. The old boards that had been replaced were cut up and removed from the light. Bob, our own Bird Man installed a new speaker for the bird deterrent. He also covered the wires with some conduit to hopefully protect it from the more enterprising gulls. He took home some spare speakers to repair and will return those on a future trip. Birds Beware! The following day several volunteers went out to give the light a final cleaning before the tours began on Saturday. They moved all the benches in place and vacuumed all the floors. You can check the schedule for tours on the USLHS.org website – or better yet, if you are a Chapter member, you can volunteer and come out and help preserve her! 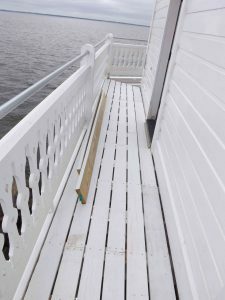 New deck boards replaced by Howard over the last month. Thomas Point ready for visitors.